Leg Raises is a dynamic bodyweight exercise that effectively works the entire abdominal area. This exercise also engages the hip flexors and lower back muscles. Leg Raises is dynamic because you can specifically target the areas in the abdominal muscles that you want to focus on simply by adjusting the range of motion. 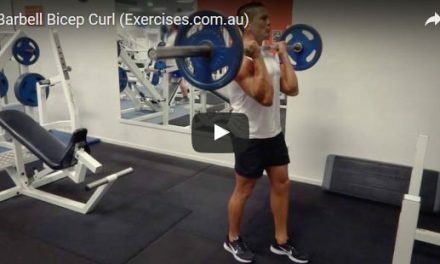 This exercise can be used as a warm up to prime the abdominals, hip flexors and lower back before doing compound lifts such as the Deadlift, Squat and any type of overhead pressing. Lie on the floor with your knees bent in a 90 degree angle. Place both hands under your lower back beside the hips for slight elevation. Slightly raise your head and shoulders above the floor. Lift your pelvis off the floor and straighten your legs out. Contract the hip flexors; pull your upper abdominals toward your ribcage to raise your legs straight up until they are at a 90 degree angle. Slowly lower your legs back to starting position. Do not let your feet touch or rest at the floor. You can shift focus on the lower abdominals by stopping short of attaining the 90 degree angle. Leg Raises is a “feel” exercise; you have to focus on contracting your abdominal muscles to let them do all the work. Keep your legs together and straight to maintain resistance on this exercise.